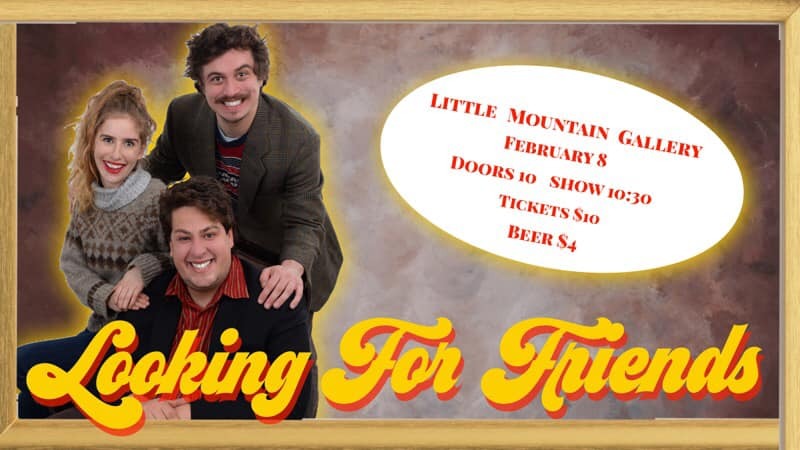 Looking for Friends is a new monthly improv show at LMG! Three of Vancouver’s most eligible friends are inviting you into their lives…through live performance! Gain friends through consuming live comedy, two things to feel great about.